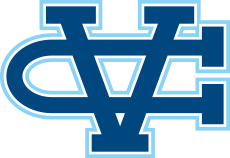 Valley Christian Track & Field: Bruckner Throws US #1 Mark in Shot Put at Avis Kelley Invitational. Bruckner Throws US #1 Mark in Shot Put at Avis Kelley Invitational. Gilroy, CA - The Warriors traveled south to compete at the Avis Kelley Invitational at Gilroy High School, Saturday. The Valley Christian girls placed third in the team standings, the boys 6th. Over 2250 athletes from more than 30 schools competed on the day. Elena Bruckner extended her national leading shot put mark by more than a foot. Her winning throw of 53-5 is just 1/2 inch off her personal best from last season at the CCS Championship. She also won the discus with a throw of 169-4. In a span of four days Bruckner threw the top mark in the nation: Wednesday at Saint Francis she threw 181-1 in the discus. It was a great day for Athiya Iese and Anna Maumalanga who finished on the podium in both the shot put and discus. Iese finished runner up in the shot put (39-5.5) and 4th in the discus (111-1); Maumalanga finished 5th in both the shot put (34-1) and discus (100-3). Dylan McCreery finished second in the varsity boys shot put with a personal best 46-11.5. He moves to #6 all-time in school history. Max Moore finished second in the varsity boys discus with a mark of 146-0. Jonathan Sum surpassed the 19 foot mark in the long jump hitting a personal best 19-0.5. The varsity girls 4 x 100 meter relay team of Aamani Ponnekanti, Caitlyn Rowland, Sydney Clarke and Jessy Fang finished in a season best of 53.30. Joe Renati won the boys Frosh-Soph 1600 meters in a personal best 4:46.04. Girls had four break the 6 min mark in the 1600 meters: Sophia Patterson (5:53), Mackenzie Thomas (5:56), Hannah Theaker (5:56) and Maggie Theaker (5:59). Sisters Vanessa Zenere (2:31) and Alexis Zenere (2:41) led the Lady Warriors in the 800 meters, both his personal bests on the day. Mackenzie Thomas doubled back to finish in 2:44, Hannah Theaker in 2:48.